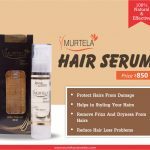 Hair serum is gaining a lot of popularity due to its advertisements. But the main question is, do it gives any benefit to our hair? Well, before buying any product it is very important to be aware of the product. If we see, there are a different type of hair serums which are available in the market with different brand names. But before buying it, we should know which serum is beneficial for our hair. Hair Serum comes in the form of liquid. It is made up of Biotin based content, amino acids, and ceramides. It makes hair look smooth and shiny. If you are thinking, shampooing and conditioning the hair is enough to make them look beautiful then you are wrong. Our hair needs the accurate amount of nutrition value. You will see many hair serums in the market but the organic serums are the popular one. 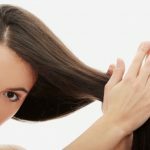 Hair serum is one of the best solutions for dry, frizzy and rough hair. Hair serum is usually applied on wet hair after taking the head bath. Choose the good quality of hair serum according to hair texture. Choose which suits you the best. You will get many options available in the market. After washing your hair with the shampoo you need to apply it on your hair. Gently put some drop of hair serum in your hands. And rub it on the tips of the hair only not on the hair roots. Do not apply the hair serum too much. Hair serum is a leave in product, so do not wash it off. Hair serum will add smooth and silky effect on your hair. It also helps hair to remove dryness and coarse. Hair Serum also protects hair from pollution, dust and sun rays. It makes hair strong and healthy. 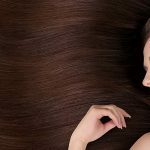 Why Should You Use Hair Serum? Are you still confused to buy the Hair Serum? If yes, then you should not be as there are no side effects of using a hair serum. The who are blessed with the softer and straight hair can still think about it. But if you have frizzy, dry and rough hair then we suggest you to use hair serum as it will make your hair silky and softer. You will find different brands in the market like Matrix, Livon, and dove. Choose the right one according to your hair texture. Always keep an eye on your hair. Once you started using hair serum keep a check on your hair. If you find any kind of breakage or any other problem, choose a different brand. We recommend you to use shampoo, conditioner and hair serum of the same brand if possible. Hair serum is usually applied to bring the shine and smoothness of the hair back. Our hair can get damaged to due to many reasons like dry weather, pollution, dust, and use of chemical products. If you are facing the same issue, start applying hair serum and bring shine and smoothness of your hair back.